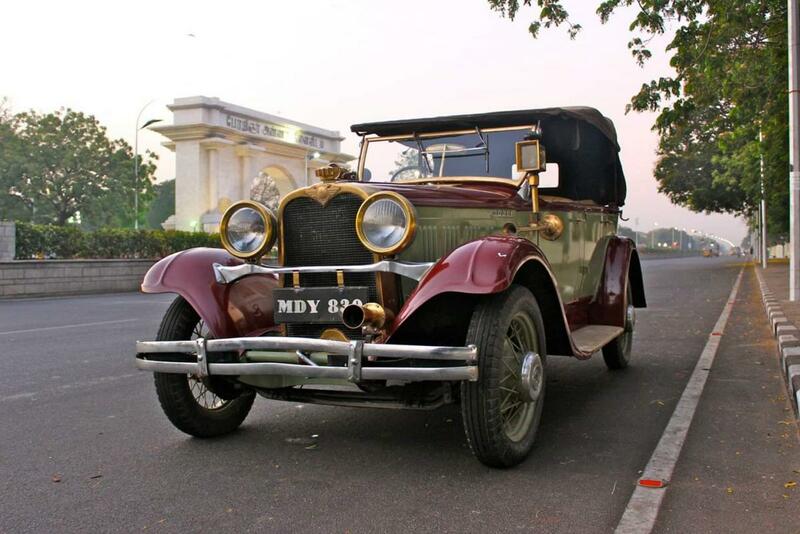 Good Morning, I am from India and have a Dodge Brothers Victory Six. It's Chassis no is M81717 and Engine number is 112 -361. The documents are missing and I would like to reapply for it. I believe it is 1929 year. It would be useful to have information as it's Engine CC/power, wheel base, colour, weight, etc,. Will be much obliged to get some information on it. Welcome to the AACA Discussion Forum. I have moved your post from the Forum Software Questions Forum to the Dodge and Dodge Brothers Forum. Hopefully someone in this forum can better assist you with your questions about your car. Your car was most likely built in Oct. 1929 and is very unusual. I don't think touring cars were available in the US. With yours being right hand drive could it have been built in Australia? If so there should be a body tag from TJRichards. I would very much like to see more pictures of your car. Contact the AACA library, the connection can be made through this website. The Dodge Brothers club has some literature there that you can get copies of that will answer your questions about the engine, wheelbase, etc. We also have owner's manuals that would be useful. The colors on your car do not appear to be factory BUT Victories could be ordered in any color even if not factory approved. Yes it is a Victory Six touring in standard trim with wire wheel option. There were touring cars sold in the U.S., and yours appears to be a Budd bodied export. The color may be Dauphine Red and Manitoba brown. These colors were offered on roadsters, and since it is most likely that roadsters and touring cars came down the same assembly line, it is possible that a touring car snuck by with roadster colors. However, this color scheme on your car was not announced by the factory. Of course this does not matter; you just need to enjoy this car. It is beautiful! The brass work on your car is a fantasy, since all the brightwork was chrome, but it looks like fun as it is. The touring car was offered in standard trim (like yours) and in sport trim. The difference was that the sport models had spare wheels in the fenders (sidemounts), cowl lights, and a trunk rack on the back. However, your car, in standard trim, is more rare than the sport model. Both types of touring cars are quire rare however. There was one other car like yours found in India but it was exported to Dubai where it is driven practically every day. Before it was restored, it was nearly worn out, probably having accumulated hundreds of thousands of miles. The owner shipped it to the U.S. for restoration. Tom Myers, (Google Myers Early Dodge) sells a CD containing an enormous amount of information about your car. It costs only $10 US. I highly suggest you buy it. Thank you, John. I don't think I have seen a touring car in Victory body. As happens too often I am afraid by moving this thread from where it started we have lost the original poster. Here is one that was sold new in New Zealand with a Budd body. It is still alive and well and on the road. Here is another Budd bodied touring that is in Michigan, it was back at the 2014 meet. Here is one from California also with a Budd body. I see, and it wouldn't surprise me if John had two or three. But I have not seen one that I remember. Thanks a lot, I found the thread back and am very happy about it. Thanks to all of you for your contribution.